That's right all 260 pages worth of ejuice is now on sale! 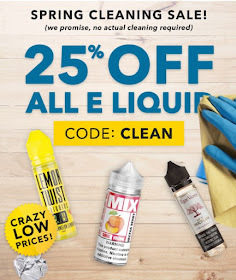 All juices, bundles, and even juices on sale get 25% off. Hurry - this sale will not last long!